Wearabout is a renowned blog by Indian based street fashion photographer Manou. 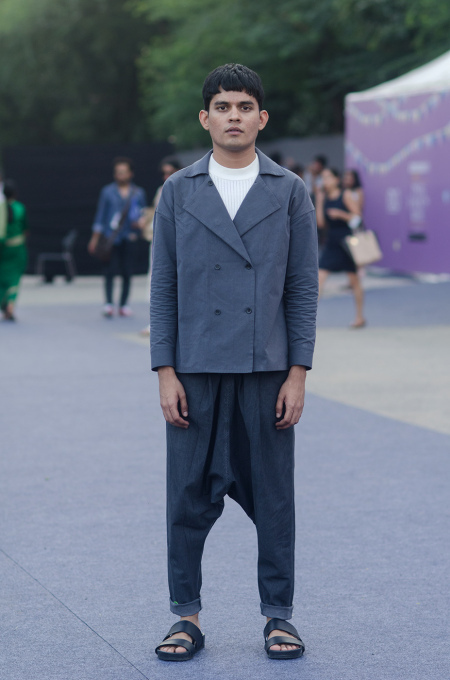 A graduate of National Institute of Fashion Technology, he started Wearabout in 2010 and has since then been featured in The New Yorker, The Hindu and Elle to name a few. As well as contributing to many other well known magazine, Manou’s photographs have also been on display at the Victoria and Albert Museum, London as part of last year’s ‘Fabric of India’ exhibition which explored the medium of handmade textiles from the sub-continent. Through his documentary style, Manou gives the viewer a deeper insight into the various people he shoots; from models, hipsters and fashionistas to village workers, beggars and drifters, each expressing a sense of individuality and truth, allowing them to be seen on an even playing field.